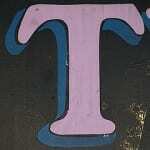 Editor’s note: This post was originally published on November 7, 2008. It was substantially revised and re-posted on May 19, 2014. She’s an Australian folk song, the brainy prankster in a popular children’s book and a famous celebrity kid. No wonder she’s on the upswing in recent years. 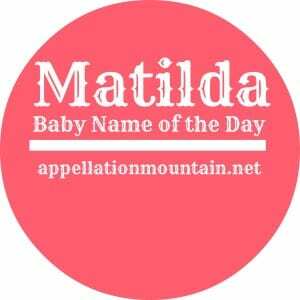 Thanks to Corinne for suggesting our Baby Name of the Day: Matilda. Not so long ago, Matilda was squarely in granny territory. The name charted in the Top 1000 through 1964, but she’d left the Top 200 around 1909, and had faded quickly over the years. There’s something gentle and old school about folk song “Waltzing Matilda,” sometimes called the unofficial national anthem of Australia. Packed with deliciously strange slang and memorable lyrics, it’s worth noting that Matilda isn’t actually the name of a sheila with her dancing shoes always at the ready. To “waltz matilda” is to travel with your worldly goods on your back. She entered the starbaby pantheon when the late Australian actor Heath Ledger and Oscar-nominated actress Michelle Williams chose this name for their daughter. Matilda Wormwood is the heroine of Roald Dahl’s 1988 novel. Dahl’s Matilda is a five year old brainiac born to neglectful parents. She fills her hours with outrageous antics before using her gifts for good. They all live happily ever after, in the book and in the 1996 movie version. In 2010, the musical version debuted on Broadway, and it’s racked up a few Tony awards. Both the high profile kid and the book/movie/musical have pushed Matilda back into the spotlight. In 2008, Matilda re-entered the US Top 1000, charting at #824. She stands at #644 as of 2013. Matilda feels playful, smart, and slightly Australian. But her roots are in early medieval Europe. She comes from Mahthildis – strength in battle. In Old French, she became Mahaut. William the Conqueror’s wife wore the name, so it was among the many the Normans brought to England. You’ll find a tangle of aristocratic English Matildas in the 1000s and 1100s, including one who attempted to claim the crown for herself. 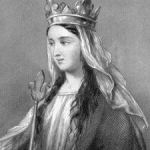 Thanks to a ninth century Saint Matilda, known for her charitable works, the name has an equivalent in most European languages, though variants abound in the Middle Ages – the English favored Maud; the Portuguese preferred Mafalda. Matilda picks up on several appealing sounds. She’s not so far removed from Madeline, and could possibly share her nickname Mattie or Maddie. There’s also Millie and Tilly, sweetly vintage short forms that feel ready for revival. You’ll find more Matildas in Australia and the UK, where’s she’s really quite mainstream. She’s in use from Sweden to Chile, while Mathilde is big in Denmark and France, and Matilde is heard in Italy. Overall, it’s easy to see why we’re all about Matilda. She’s sweetly old-fashioned, but with plenty of spunky, modern spirit, too. She fits right in with the current Top Ten – Sophia, Abigail, Matilda. She’s darling on a kindergartener, and perfectly reasonable on a grown-up, too. Best of all, she’s still relatively rare in the US – for now. I love this name. If we have another daughter this is it! How can anyone not love this name? Its perfect becuase it grows with you. The little girl named “Tilly” grows up to be the mature woman named Matilda. Ah, now this caught my attention! My eldest is named Matilda Poppy Rae, and she’s almost four. (I have twins, Iris & Oliver, too). DH and I chose her because of her somewhat quirky grandma feel. But that was four years ago.. whilst I still love her name and it fits to a tee, I’m in Australia and I’m hearing it so often around here! Matilda’s a name I go back and forth on. Usually she seems sweet and just the right amount of mischievous (in a Roald Dahl sort of way), but some days she feels too stuffy (as is she were the twin sister of Anne of Green Gables’s Marilla Cuthbert). Today I like her quite a lot! I never realised there was any connection between Matilda and Maud, well you learn something new everyday… Like Lola, I also prefer Mathilda which sounds a little less ‘Kangaroo’ and a little more European to my ears (love how you put things Lola!). Indeed Mathilda has been on my list ever since I was charmed to meet a lovely young Mathilda about five years ago. Latterly though, she has quietly dropped off the list in response to her epic rise in the UK. I now know of at leasy two baby Matilda’s – one is the sibling of Olivia and Georgia, the other the sibling of Callum; I’ve also seen several Matilda birth annoucements in the local press. It’s funny how a name can seemingly come from nowhere and then everyone starts using it – I feel sure that as recently as a few years ago many of these parents would have found the name too outlandish a choice. The funny thing is though, that a when a name I adore becomes increasingly popular, it’s annoying but doesn’t necessarily put me off (Grace and Amelia are good examples of this phenomenon) so why has it put me off Matilda? The answer is that Matilda’s charm lies in her offbeat, out of the blue, funky oldy-wordly feel which over-usage diminishes to the point that she starts to sound a tad garish and too over-the-top try-hard. Maud on the other hand is a name to applaude! She sounds fresh, daring in a stuffy way, striking and unusual and I would be over-the-moon to meet a little Maud(e)! Just wanted to let you know I’ve taken on a new ID. This is photoquilty, formerly known as Another, okay? Another one we differ in, Another! 😀 I find Matilda’s pedigree impossible to dislike, unlike Sunday, Suri, Moxie (which I admit is growing on me and I LOVE her brother’s name!) Pilot &, Peanut. I actually prefer Mathilda, in looks. Matilda’s a bit too kangaroo for me, personally. I know of a lovely woman online with a Matilda (and an Iris & Oscar!) Mathilda, nn Tillie (for the family surname Tilley) or Maudie, for Great Grandma Rosamel (it was her middle name and the one she went by until she met G. Grandpa Cosmo. He so loved her first name, she started going by it). I like Maud, too and knew they were related but agree they feel worlds apart. 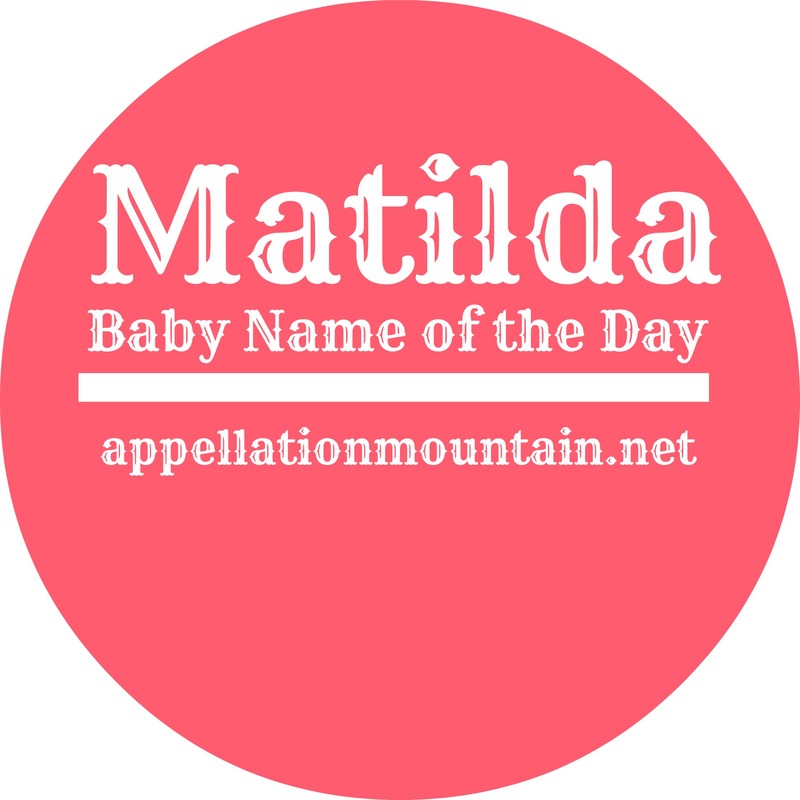 Mathilda/Matilda feels elegant, spirited and a touch regal. Maud is a bit more delicate and more edgy than regal. (If I didn’t think a Maud would feel somehow jilted next to a sister named Josephine, I’d use Maud as a first name in a heartbeat, I really do love it) I like the mauve-y clunk that is Maud. Matilda’s a little sweet and I like her strength. My first assocation withe Matilda is Matilda & Stephen and the royal battles between them. What an awesome story that is! It’s the story that started my interest in Royals and royalty in particualar. I have a Mathilda combo in my wildcard spot: Mathilda Esme Primrose. The reason she’s wildcarded? Mathilda MacK sounds a bit cartoony or storybookish to me, and I’m not sure yet if I like it enough to move her up. That’s for my own ponderings. Matilda’s absolutely aces, and I wish it would get a bit more popular. She’s way better than Madison in a thousand ways and I’d so much rather meet just one in RL than any number of Madisons. If I ever do get to use Matilda, I will stay far away from Mattie as she is indistinguishable from the omnipresent Maddie. I adore nn Millie even though she is almost never brought up in the context of Matilda. Matilda nn Mattie would make her far more likeable for the masses, I’m sure. Ugh. No, thank you! This name is another one that makes me roll my eyes. It’s old fashioned (not classic), has a nasty gutteral sound, and althought people might think that they’re picking something offbeat and whimsical, to me it’s trying waaaaaaay too hard (just like most of the other starbaby names: Sunday, Honor, Moxie, Pilot, etc.) I can’t hang with this one. Might as well go with Brunhilde, Bertha, or Dorcas. […] lack her modern, unisex sound, but this name owes her origins to medieval staples like Matilda and Maude. […] over the less common Lars, there are some who go for the unusual choice.